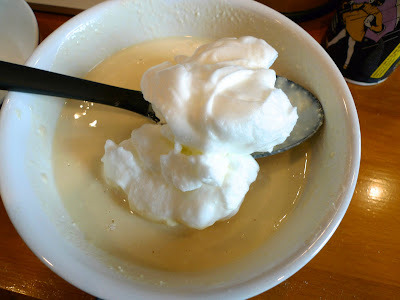 The restaurant recommends using a dryer ricotta with large curds such as Gioia (a wet ricotta will make the batter grainy). 1. 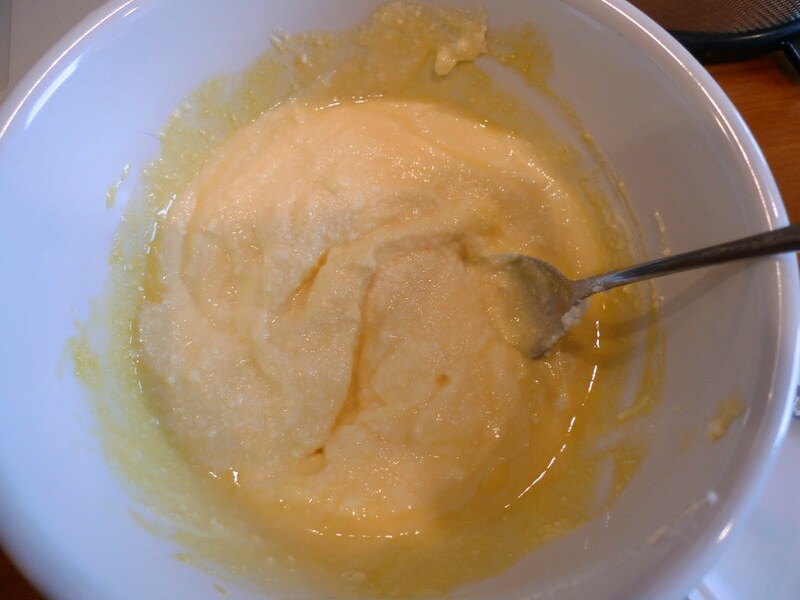 In a large bowl, whisk together the egg yolks and ricotta cheese so that there are no large lumps of cheese, but make sure the mixture does not become too smooth (this will make the pancakes wet and grainy). 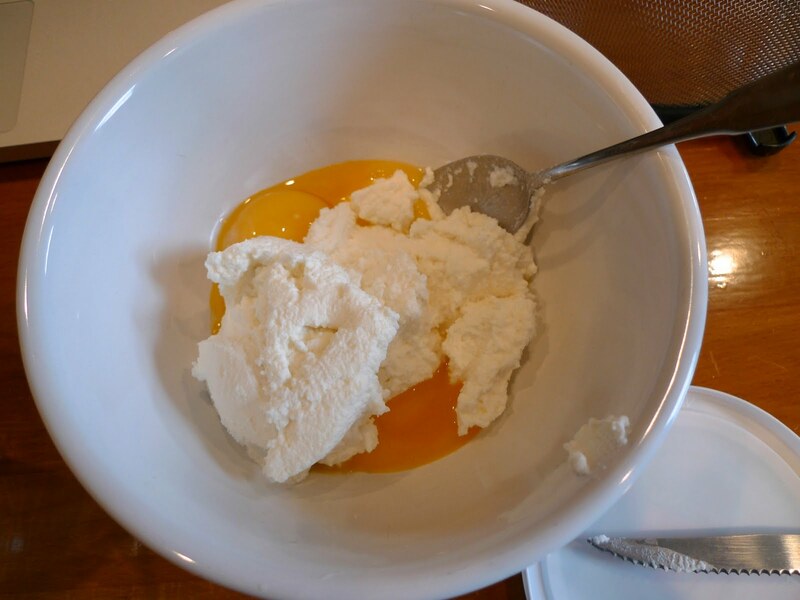 Here's the egg yolks and ricotta together. Here's what mine looked like after some mixing. Whisk in the sugar, salt and vanilla, then the milk. 2. In a separate bowl, whisk together the flour and baking powder. Fold this into the egg batter just until no lumps remain. Don't fret, it looks really watery, but try to take out the huge lumps and it will thicken a lot more once you add in the egg whites too. Once I looked at my runny batter, I told my roommate, we might have to go out for brunch after all, but it turned out really well ... so hang in there. 3. Separately, whip the egg whites to medium-stiff, shiny peaks, about 4 minutes. Gently fold these into the batter just until uniformly combined. 4. Ladle a generous one-fourth cup of batter onto a medium-hot, lightly greased griddle for each pancake. 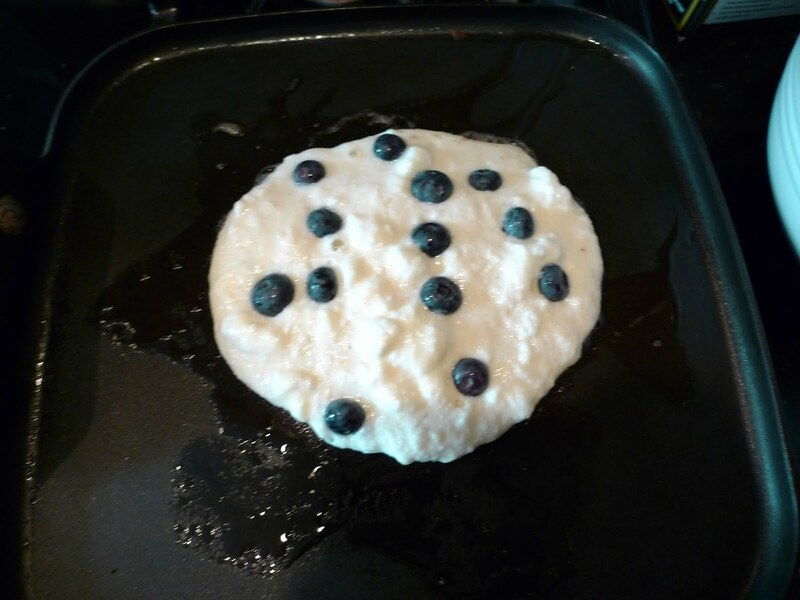 Place 10 to 12 blueberries on each pancake and cook, about 2 minutes per side, until the cakes are golden-brown and cooked through. Here was my first pancake, which is usually a throw away, but it looked pretty good. Success! Here's a large stack of them. 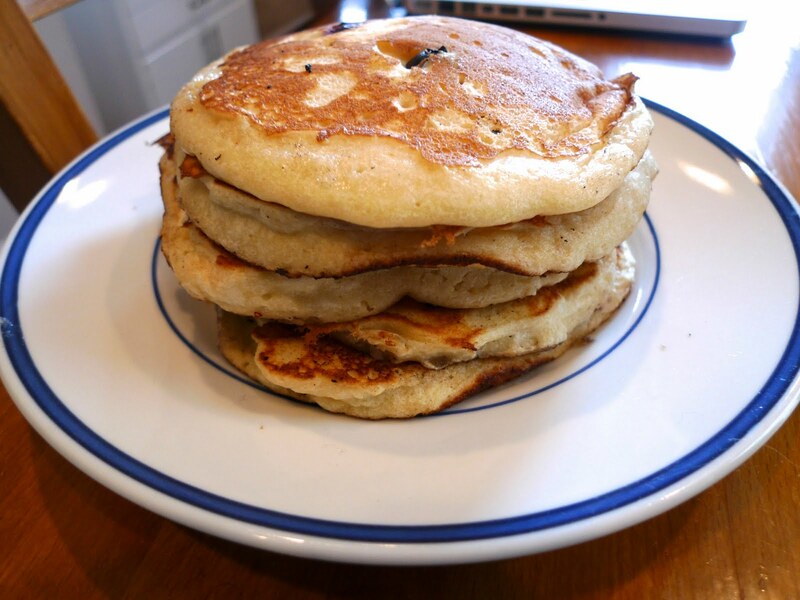 Serve with some maple syrup and enjoy! I think this recipe can easily serve 6. They were so fluffy and just like I remembered them at BLD. Thank you LA Times for the recipe. those looks absolutely delicious!! 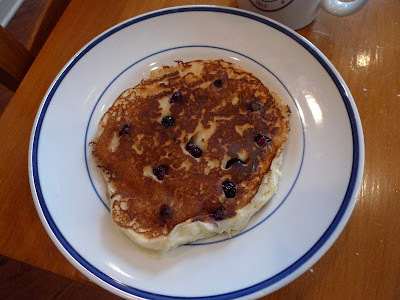 blueberries season i'm told really gets into gear in May, so you can lots & lots of blueberry-filled recipes. Don't you spend a lot of money on groceries alone though?! Hi Julie. Thanks for leaving a comment. =) You're so lucky you get to go home and eat homemade ice cream and pizza every weekend. I'm jealous! Has Jung tried making beer ice cream yet? That is so funny about your mom. She must be frying up a storm. A fried hot dog? Please don't tell me she actually fried a hot dog. LOL, that is too funny. I feel like every thanksgiving at your house is a smorgasbord of fried foods. Was it last year where we had fried squid, fried chicken and fried shrimp on top of the turkey? I love thanksgiving. =) omg, you should try fried tempura ice cream! As for groceries, you know what, I haven't been cooking as much and I've been just buying frozen food from TJ's and I actually feel like I am spending way less than I did before because I'm not throwing away extra produce or leftovers. I've been obsessed with their teriyaki chicken so I microwave that and their frozen brown rice and steam up some broccoli for dinner. That or I make salads with their frozen grilled chicken strips. It's so easy and super yummy. Btw, I know you love tuna, but don't eat too much of it b/c it has a lot of mercury. I've been meaning to tell you that but I keep on forgetting. hehe.